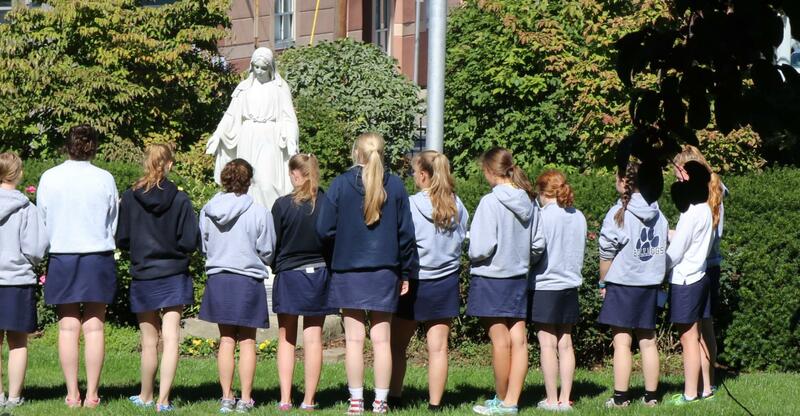 The Religion Program at Saint Ursula Academy has a two-fold mission. First, it is designed to instruct the student in providing information about the Christian faith from a Catholic perspective. The second process is one of formation. Each student is invited to grow in and deepen her response to the God who calls her in Jesus Christ and who speaks to her through the Scriptures, the Church, and the world today. The teachers work consistently to be aware of the needs of young people through their own studies, reading, and attendance at various religious education workshops and in-service days. They work cooperatively with the Campus Minister, Coordinator of Ursuline Spirit Initiatives and Community Service-Learning Team to further enhance the curriculum.